The mountains of Colorado are alive with glorious aspens and evergreens. 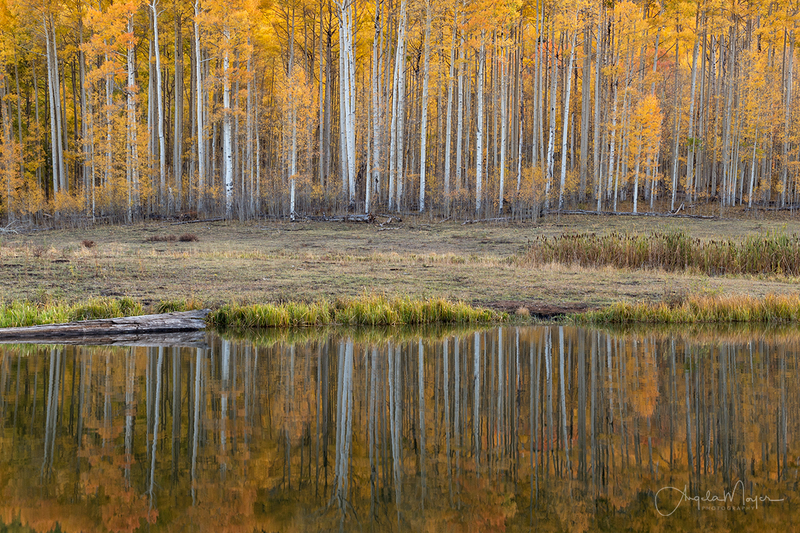 The aspens spread their golden glory throughout the hills, hinting at what was inside and coveted by many in the rich mountains. 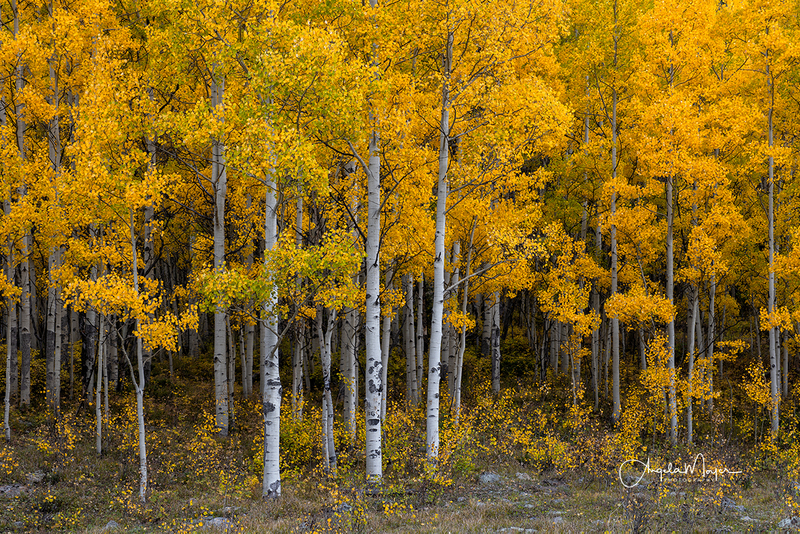 Today, color peepers travel to the San Juan’s from all over in search of gold, not the nuggets of fame and fortune of the past, but to witness the wonder of these amazing trees with golden leaves and beautiful white trunks. 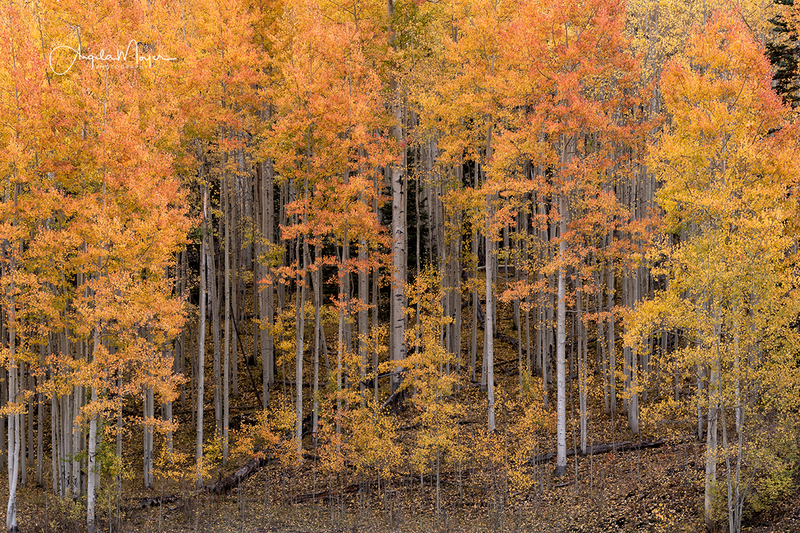 In times of drought, such as we have experienced this year, the aspens yield a stunning display of gold, orange, red, and yellow. This post is a tribute to the wonder and diverse nature of these beautiful trees. 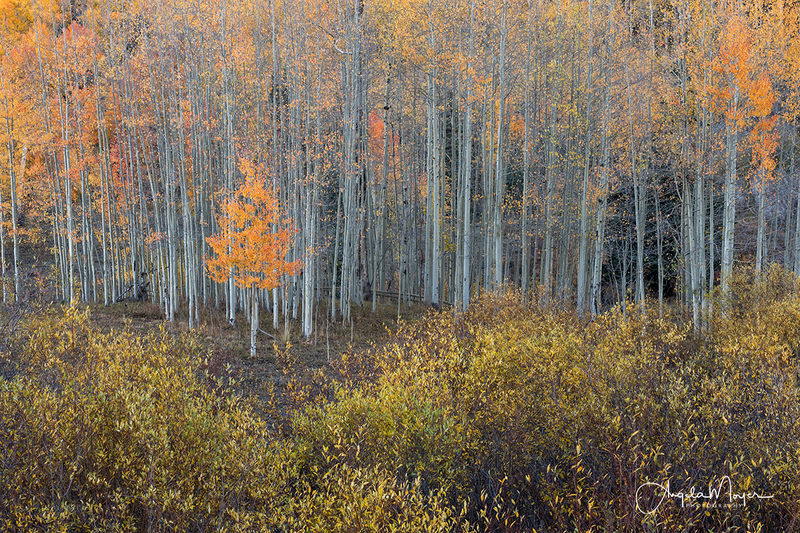 “Shimmering Aspens” is my favorite in this series. Which is yours? 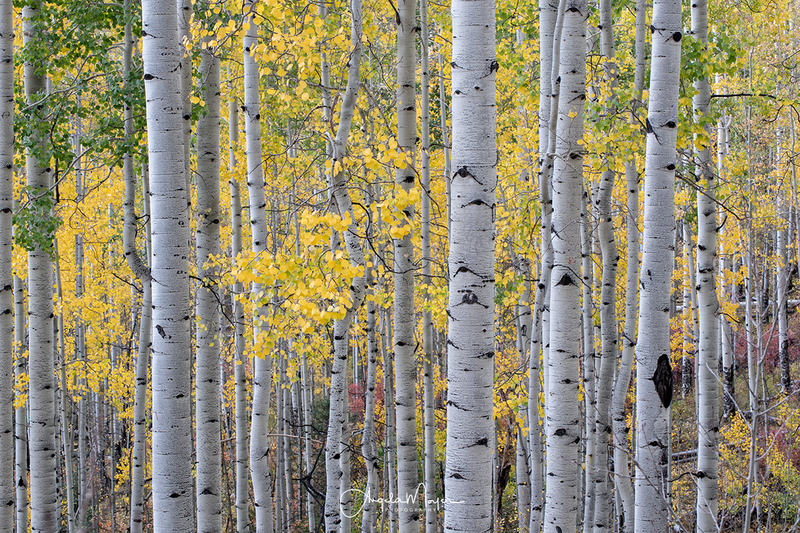 I like Last Dollar Dream, but I have always found the trunks of Aspen trees to be beautiful. Thank You! I too love the trunks! 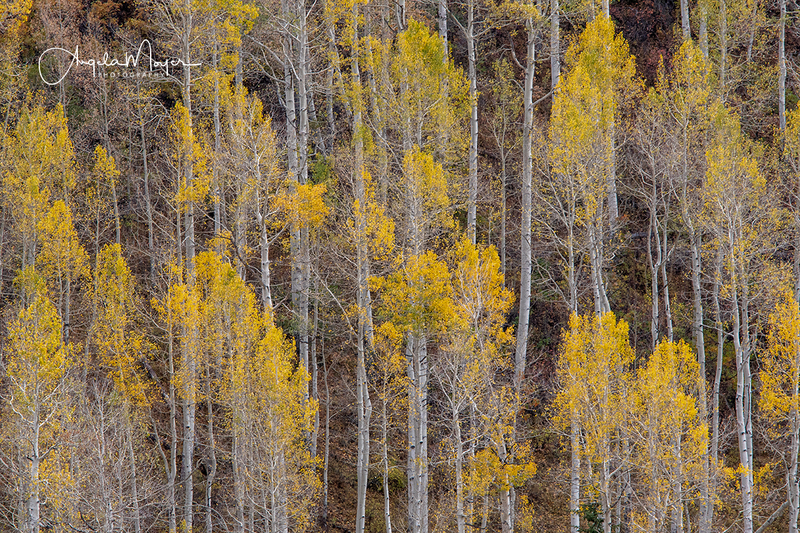 There’s just something compelling about Aspens that draw me in. Million Dollar Gold or Serenity are my favorites. Beautiful captures reminding me how much I love the San Juans. Thank You! The San Juans didn’t disappoint for sure. I also did some exploring in the canyons (Escalante and Dominguez) this fall which are surprisingly diverse and just as beautiful. These are beautiful Angela! I haven’t been to Colorado in years and now I want nothing more than to hop in the car and drive!! Thank You! It is truly beautiful here in Colorado! You should try and take drive out here! You wont regret it and it is good for the soul! Great eye spotting and framing these compositions! Guardians and Alone in the Crowd are new favorites. Nice collection and thoughts! Thank You! Guardians is on my favorite list too! Still on the fence about Alone in the crowd though. Glad you like them both!